Recently, I came across a gorgeous Anthropologie dress made out of denim with trim sewn all over it. I was instantly intrigued, and remembered I had some very similar trim I picked up from Harmony Provo (a local fabric shop). I went back to shop to get more trim (40 yards total!) and some Robert Kauffman chambray to recreate this dress. This post is only meant to share some photos of the project, but keep reading for the link to the full tutorial. I like to keep a record of everything I make here! It did take a while to sew on all the trim, but I finished the dress in one week, only working on it at night. I’m thrilled with the finished result. 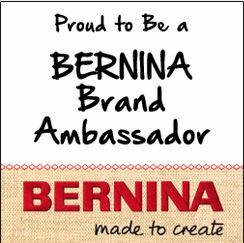 You can read the full sew-along tutorial over on BERNINA USA’s blog weallsew.com! 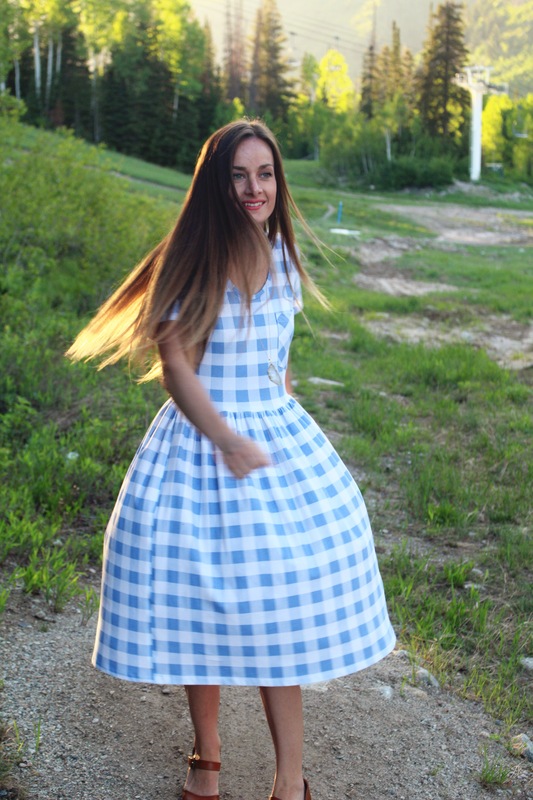 I shared a recent post on Fabric.com’s blog all about how to make this pleated bell sleeve. A sister-in -law of mine was wearing a shirt with knife pleats all around the sleeve that stopped mid-sleeve creating a bell shape along the bottom edge. I was instantly intrigued and set out to make my own. I used this gorgeous french designer aztec collage rayon challis for my fabric, and paired it with the Key Largo top by Hey June Patterns. I used the Key Largo sleeve and altered it into my pleated sleeve. I love the feminine touch the sleeve adds to this top. I also like that it’s different from a typical bell sleeve. I love re-creating inspiration found in ready to wear stores and making into my own. There’s so much satisfaction that comes with making your own clothes! 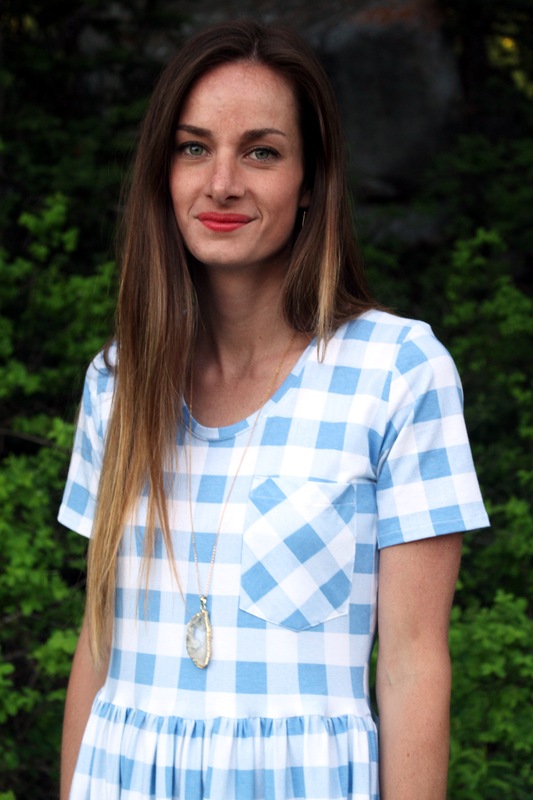 Head on over to fabric.com’s blog for the full sew-along and tutorial! 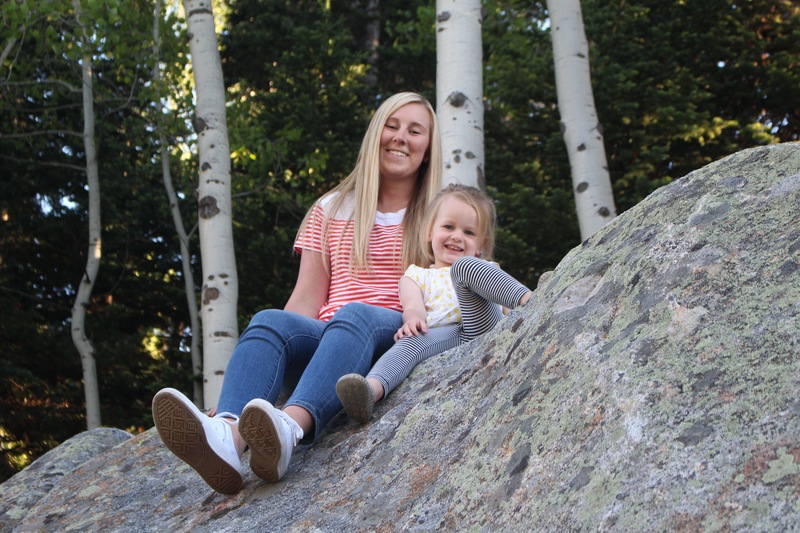 I’m wearing my Safran Jeans by Deer and Doe Patterns in these photos. Boho Stretch Velvet Dress Pattern tutorial + Sew-along. Hey guys! I recently shared a full tutorial to make your own pattern plus a sew-a-long for this boho stretch velvet dress on Fabric.com’s blog, and I want to share it here too. I walk you through the steps of how to work with stretch velvet, how to draft your own pattern using Deer and Doe’s Plantain Tee (free pattern) as a starting point, and then how to sew it all together. I fell in love with the current velvet trend, and immediately went on the search for what kind of garment I should make with it. I found velvet everything, which didn’t make my search any easier. I also noticed stretch velvet all over Nordstrom the other day, this trend is huge! 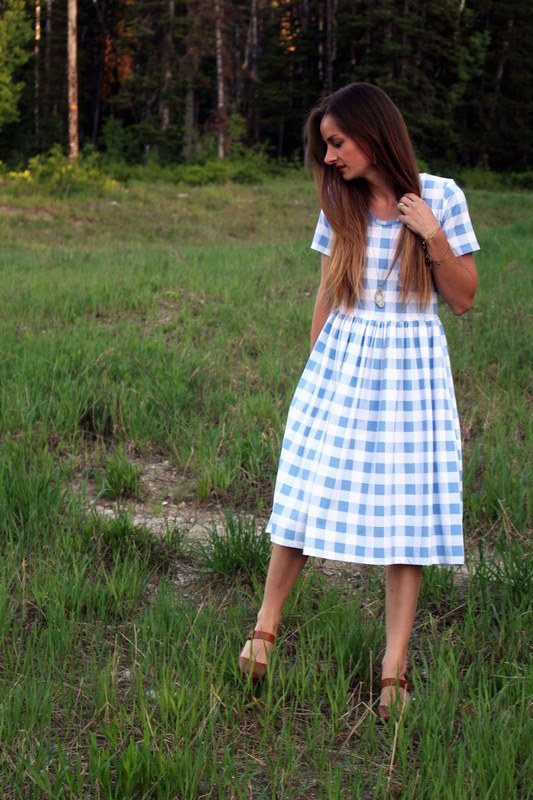 I came upon this designer dress while searching around online, and I fell in love with it! I love the prairie style of the skirt, the gathered waist and yoke. After looking at it for a few minutes I realized it wouldn’t be too hard to re-create. So, this is my spin on the Paulina Dress by Ulla Johnson. (Just a side note, Rachel Zoe posted this dress on her Instagram Stories a few weeks ago too, so you know it’s good!). Hope you love it as much as I do. Did you know stretch velvet is a dream to wear!? So comfy!I used this dark gold stretch velvet from Fabric.com. I absolutely love it, the color is so rich and yet a little different too. You can find the whole tutorial here! Enjoy! Happy National Sewing Month! Recently, I participated in a really fun collab with fabric.com! I’ve noticed fur coats everywhere for Fall 2016, and so naturally, I wanted to make my own. 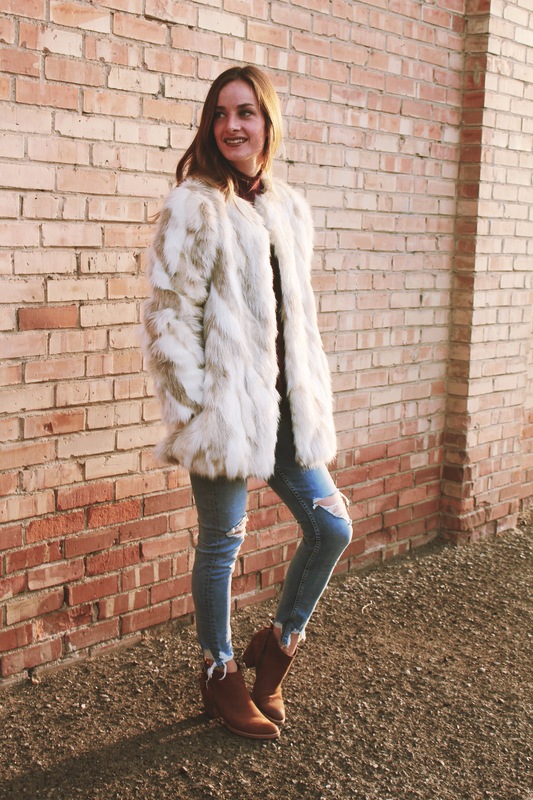 Faux fur is so easy to work with, and it’s a whole lot more affordable to make your own coat! *The faux fur I used from fabric.com is now restocked on the website! You can find it here! For my lining I used this fabric, also from fabric.com. It looks like a dark green online but it’s really a slate grey. 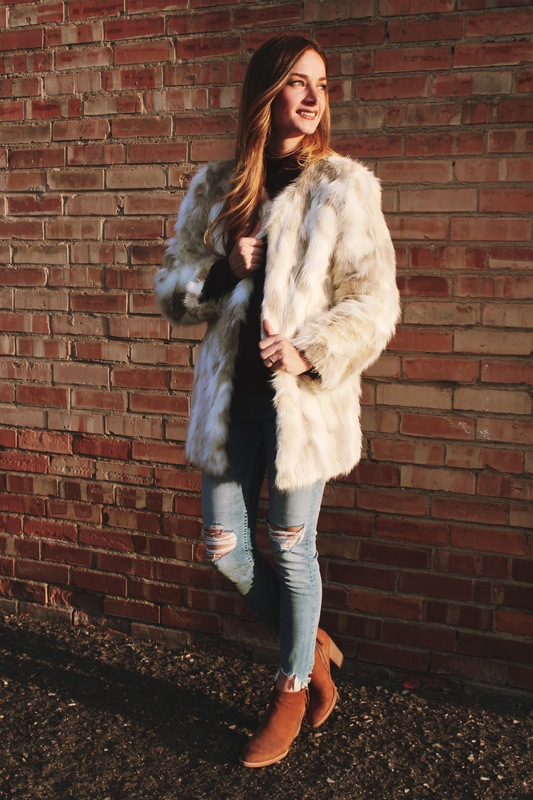 Before you get started, head over to fabric.com to read my tips for sewing with faux fur. Don’t fear the fur! 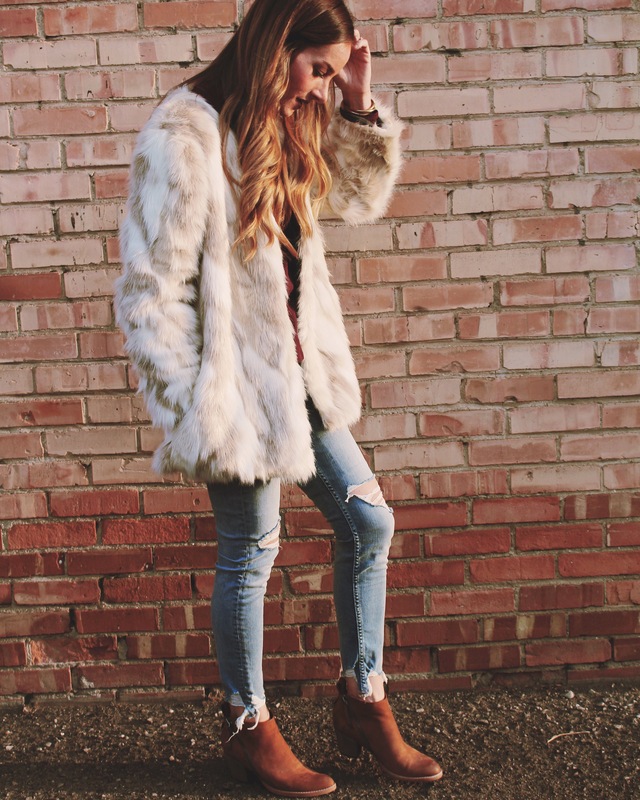 These tips will have you sewing up your own fur coat like a pro. 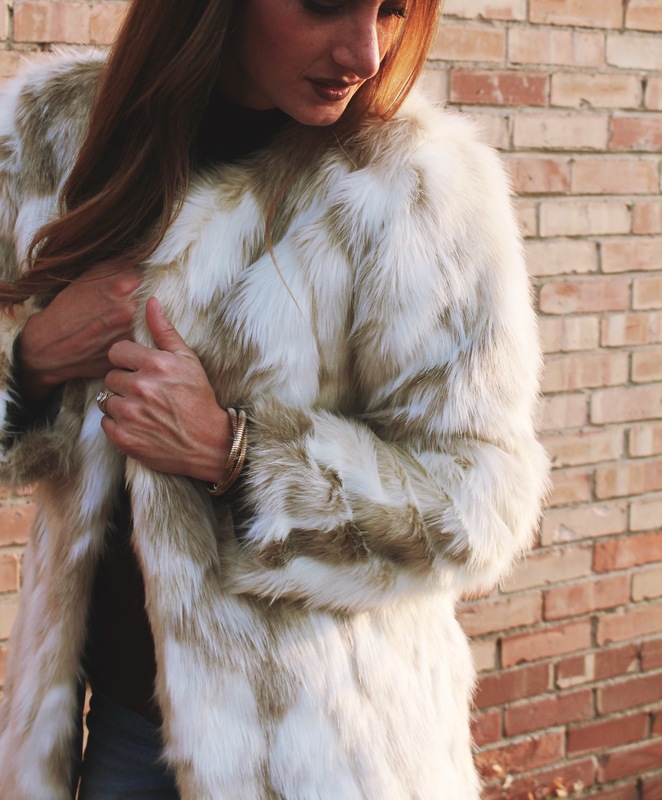 At the bottom of my post (on fabric.com), you’ll find all of the fabulous faux fur options they have to get you inspired and started! I made this coat using McCall’s Pattern M7257. I strictly followed the pattern, but I did shorten my coat a few inches. I only used about 2 yards of fabric total, costing about $60. I was really inspired by this coat I found on Nordstrom.com, and it’s going for $348. See guys, it may be a little pricey, but it’s totally worth it to make your own! I’m really excited to pair this coat with skinny jeans and boots for a casual vibe as shown, but also style it with dresses and heels for all those fun holiday parties coming up on the horizon. I really love my new coat! Have you seen the Manchester Metallic by Robert Kaufman yet? They are DREAMY. While at Quilt Market, I took a peak at these beauties, and walked away with some sample. So, when Sew Mama Sew asked me to be apart of the Manchester Metallic Summer Bag Challenge, is was a perfect fit. I chose two of the fabrics from the collection: Midnight & Rafia. They are a lightweight, woven fabric with metallic threads woven throughout. 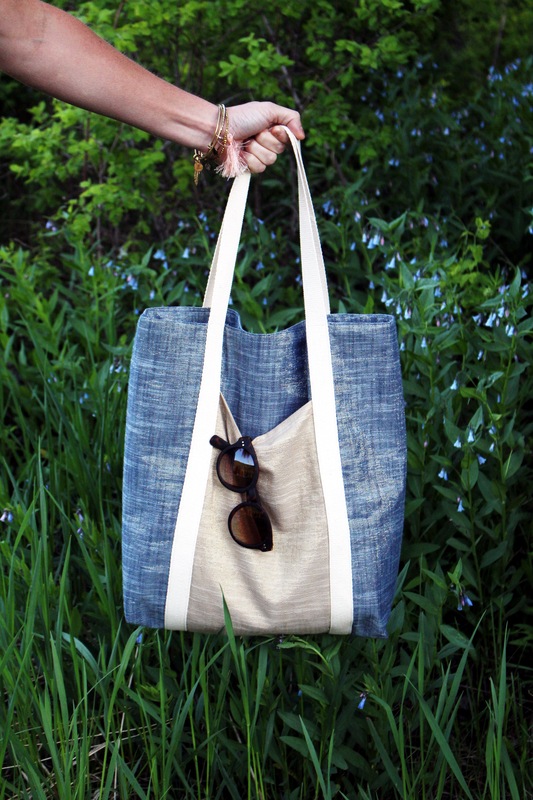 For my bag, I decided to make a simple summer tote. 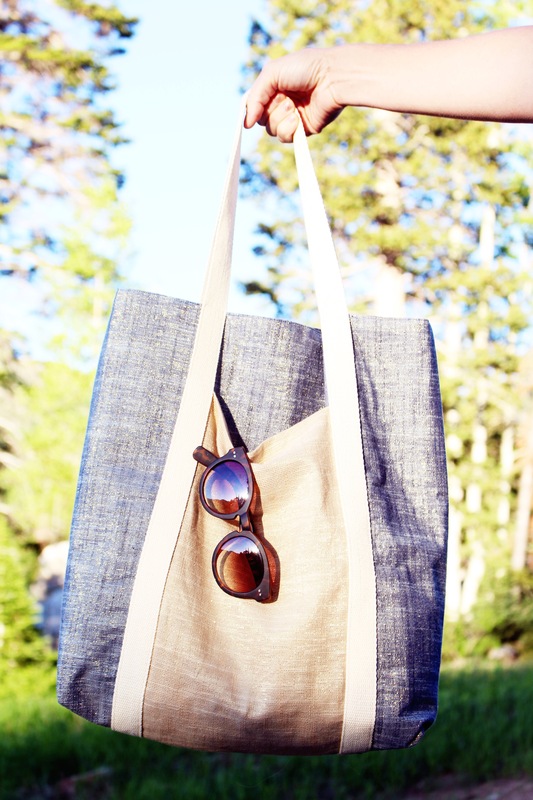 I’m always looking for an easy bag to throw snacks, and a few essentials when heading to the pool or park with my littles. I followed the Railroad Tote Tutorial by Purl Soho. I’m a sucker for a good tote. Because this fabric is so lightweight, I used a heavy fusible interfacing and ironed it on to the backside of the back. To hide the interfacing I made a lining to insert into my tote. I also skipped the first step of finishing the top edge of the tote, I finished it at the end with a lining. I also left 1/2″ seam allowance from the cotton webbing (I picked mine up at Joann’s) and the top raw edge of my tote, in order to have enough room to sew the lining on. I used this lining tutorial as a guide. I basically cut out two bag fronts and backs. I sewed the lining together just the same as the bag front & back pieces, but I left a 3″ hole in the bottom. Pinned the lining to the bag RST, with the lining on the outside of the bag. 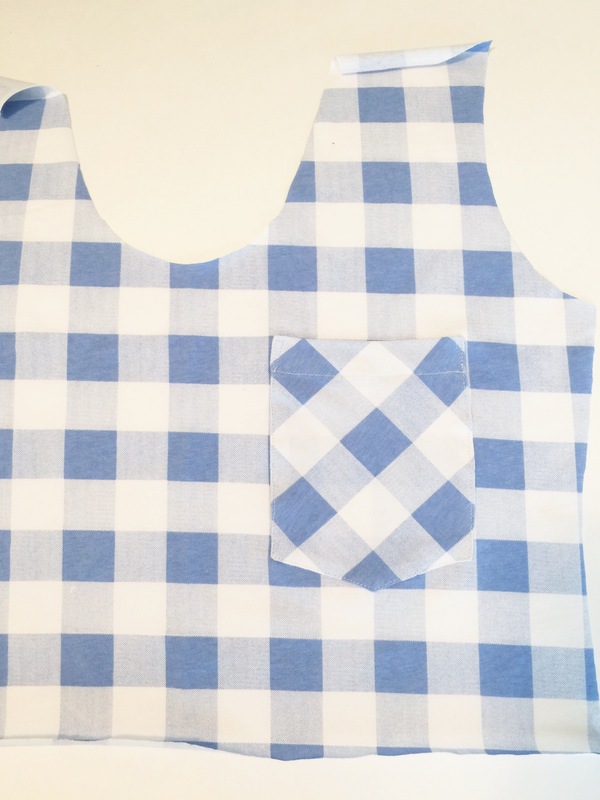 Sew the two top pieces together around the top of the bag at 1/2″. Pull the pieces right sides out, pushing the lining into the bag, and iron the lining down around the top edge. 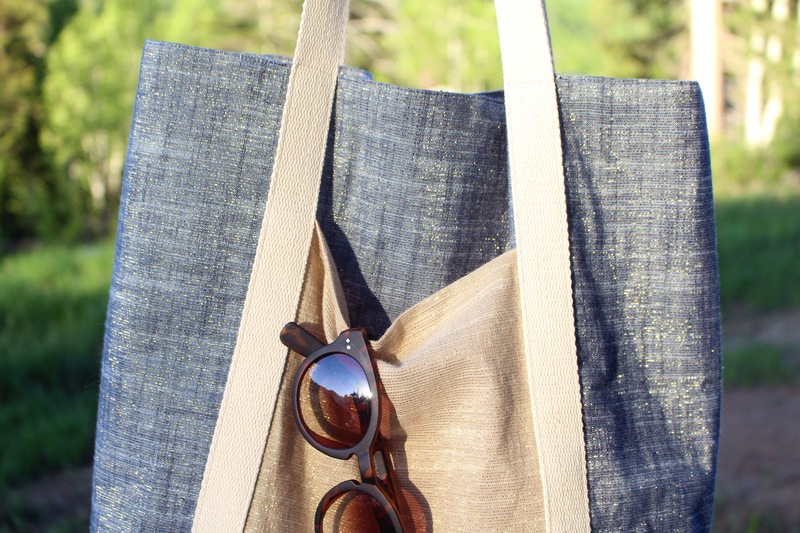 Sew the opening at the bottom of the lining closed, and top stitch around the top of your tote. All done! See how pretty it is in the sun!? 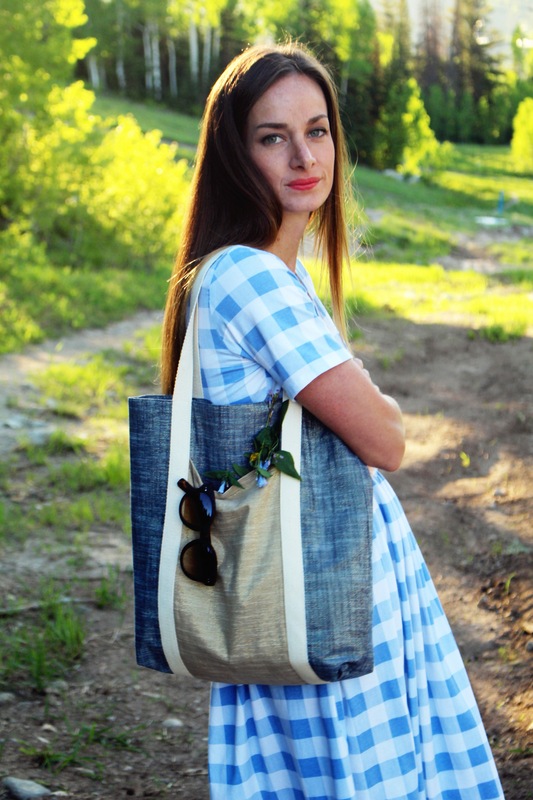 Now, go sew yourself a pretty tote for all your summer adventures! 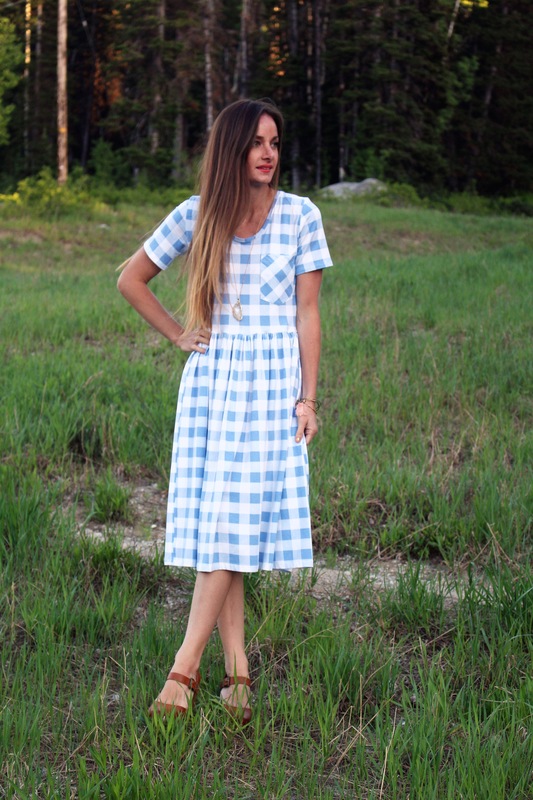 I got to spend a day at Quilt Market a few weeks ago, and while I was there I found this beautiful blue and white large gingham print knit fabric from BOLT by Girl Charlee’s new collection, Modern Reflection. BOLT by Girl Charlee fabrics are exclusively sold wholesale online, but can be found among the following retailers. 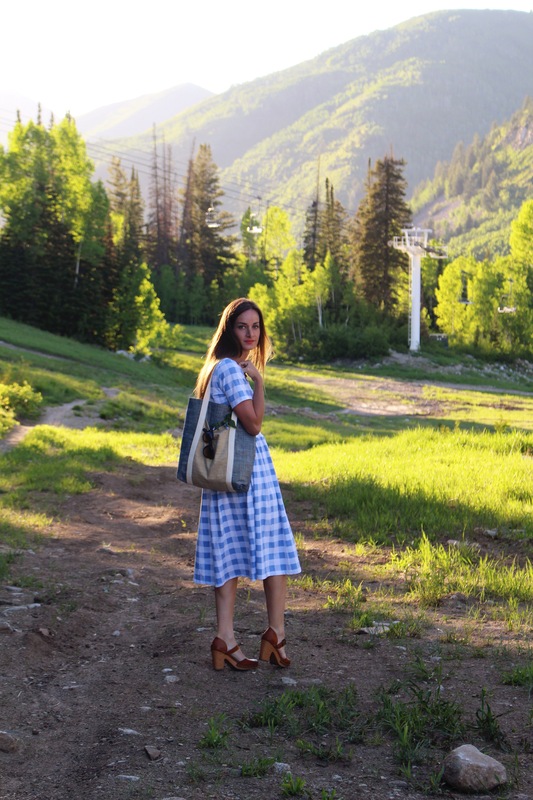 When I walked into the Girl Charlee booth, my eyes quickly found this bold and yet fresh gingham print, and I instantly pictured it as an easy, summer dress. This fabric is SOO soft. I was worried about it being a little sheer on top but it’s not, so no extra layering required underneath (besides a skirt slip, I’m old school like that). It’s dreamy! 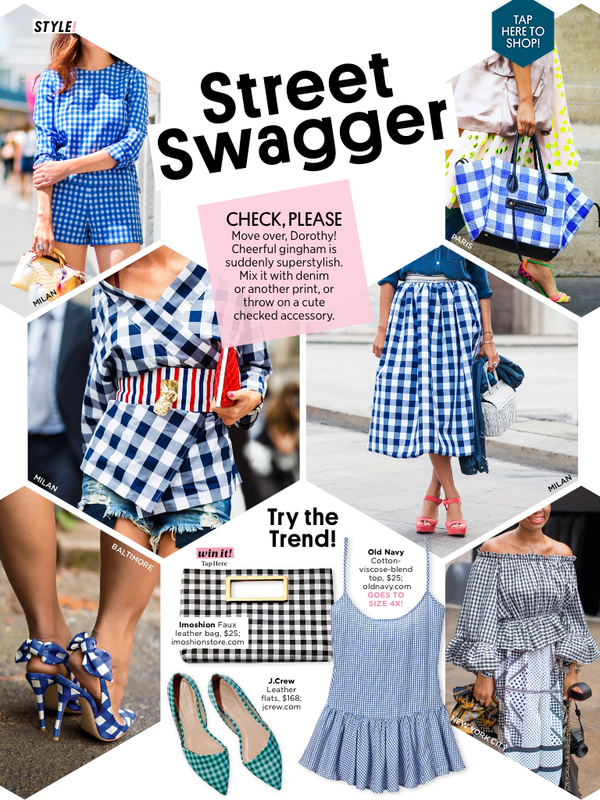 Just when I was a little worried about looking too much like Dorothy from ‘The Wizard of Oz’, I found this page while flipping through the July People Style Watch. Move over, Dorothy! 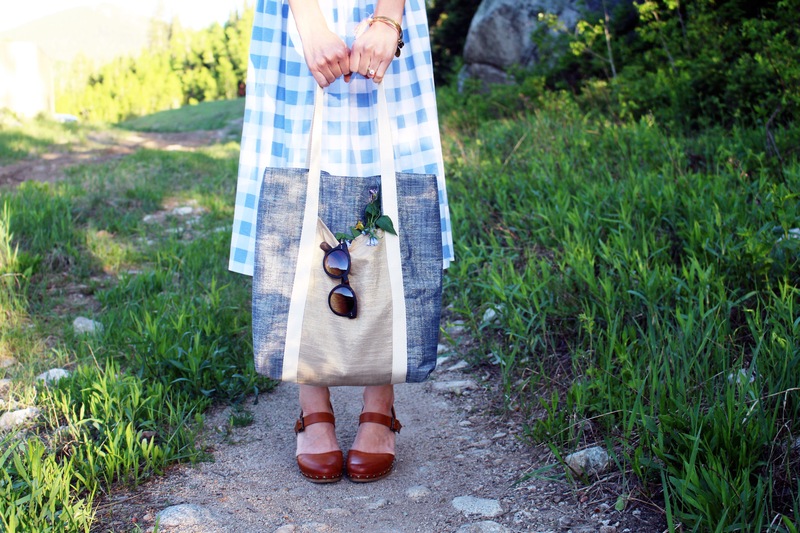 The perfect summer dress is RIGHT here! 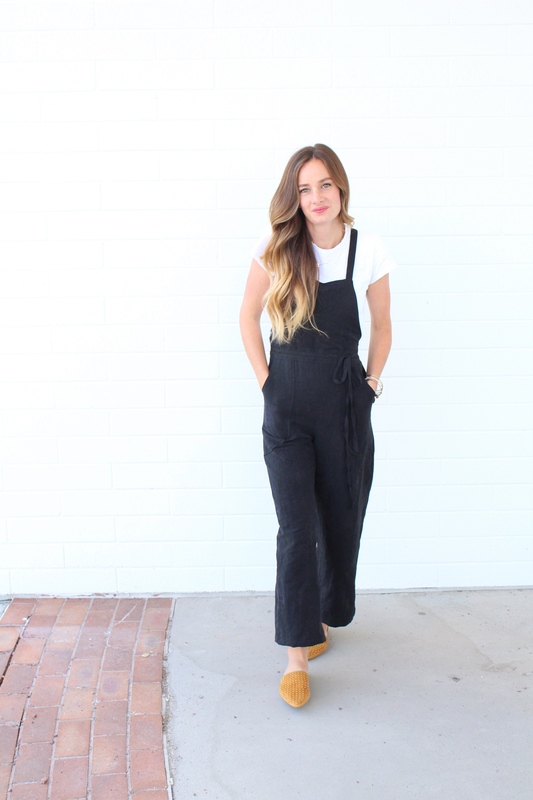 I’m obsessed with the new Indie Sew 2016 Summer Collection in collaboration with Seamly. I love the Basic Tee. For the dress I pictured a fitted, sleeved bodice with a gathered skirt. I then had the brilliant idea to use my Seamly Basic Tee pattern for the bodice. (You can also use another t-shirt pattern you might have on hand, or you can even trace an RTW tee that fits you well). 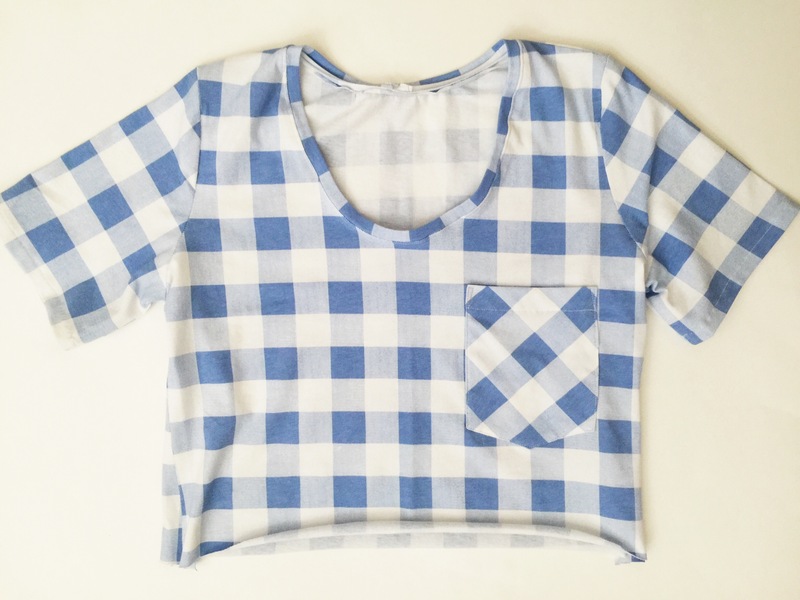 This tutorial is based off the Seamly Basic Tee pattern. Step 1: First we need to alter our basic tee pattern just slightly. 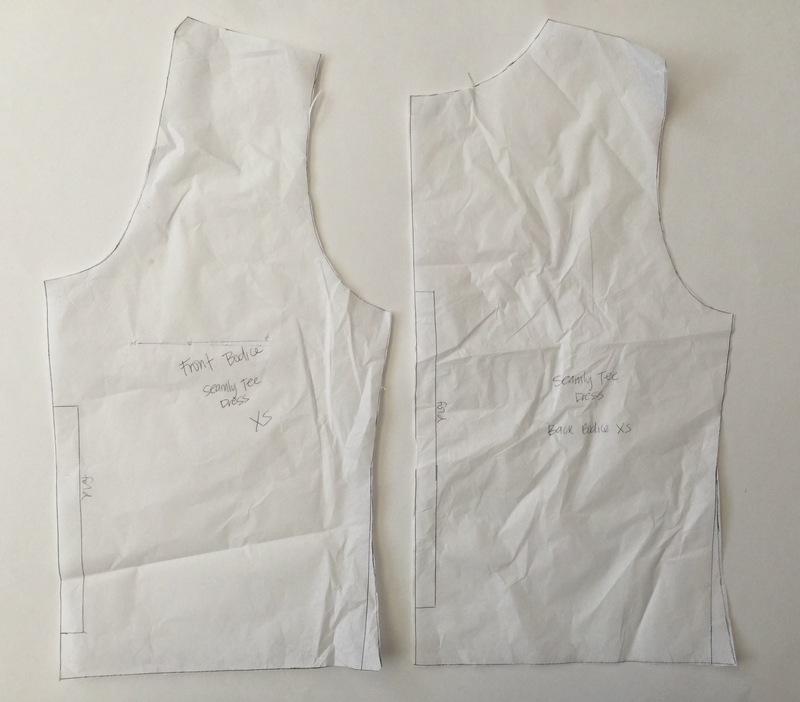 First, trace your pattern off of your original in your preferred size, closest to your measurements. Second, measure from your underarm to your side waist straight down. 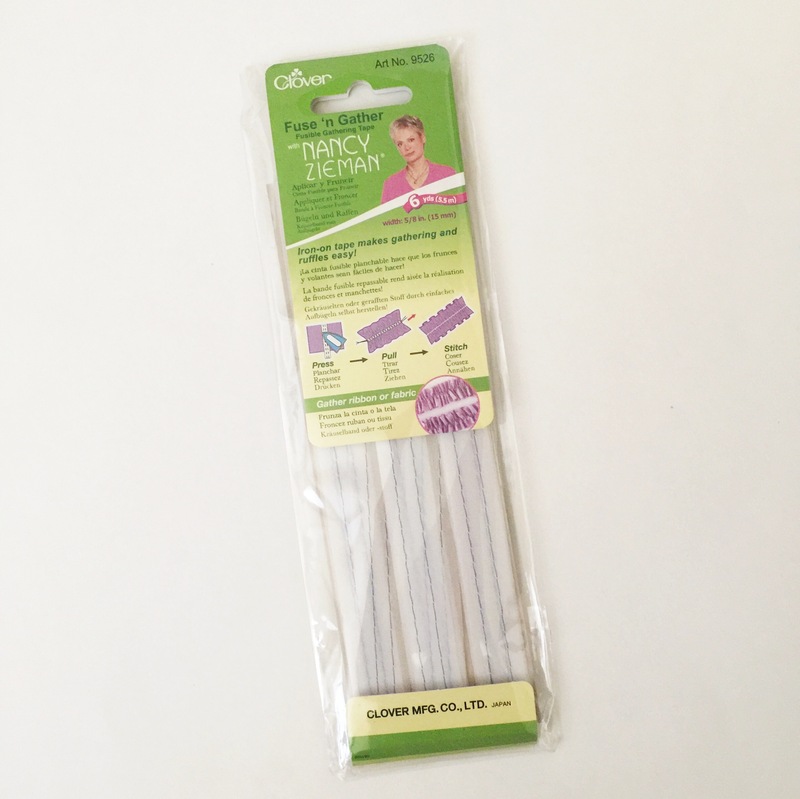 Add 1/2″ for seam allowance. 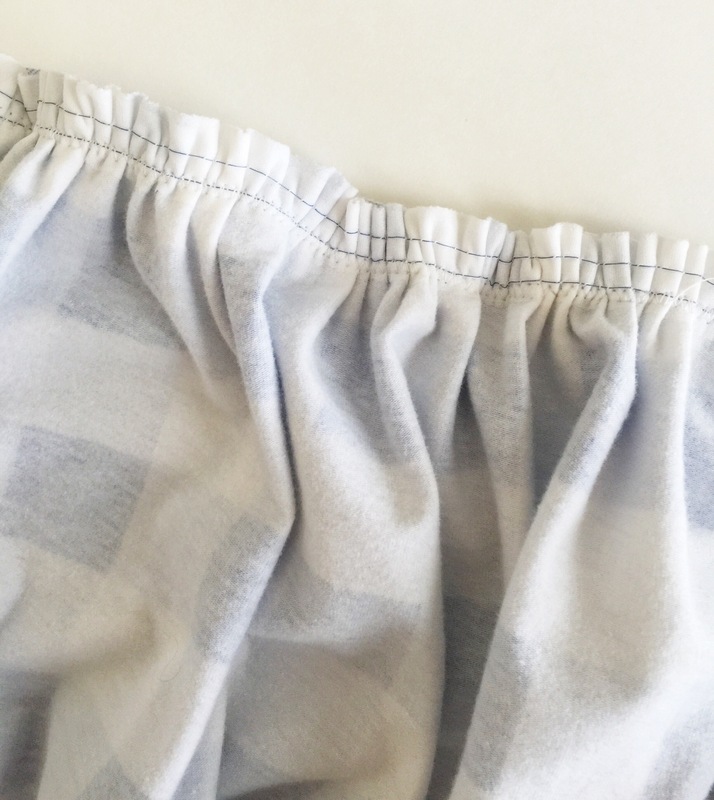 (Just 1/2″ because the weight of the fabric pulls the waist seam down farther than you intended). Next, mark this measurement on your front and back bodice patterns, and draw a straight line across. Next, using tracing paper, trace your pattern, (the bottom edge will be this new line we just drew). On your traced pattern piece, slightly straighten out the side seams for a more form fitting look, I would recommend doing this, otherwise your side seams stick out a little at the waist. You can see where I straightened mine between the ruler and my pen. (You can also see this in the above picture on both bodice pieces). Now we are ready to cut out our pattern! You’ll need your basic tee front and back bodice, neckband, pocket and sleeves. For the skirt piece, measure your waist, times it by 2 1/2-3, (I did 3) and that is your width. 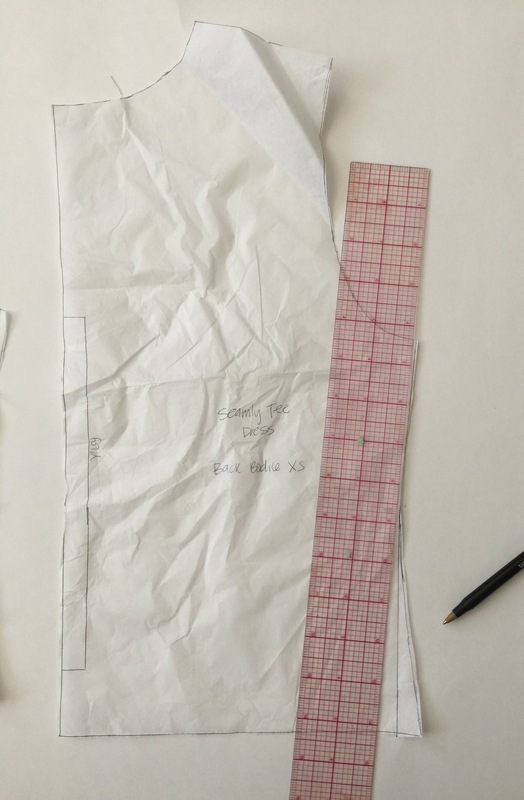 Decide on how long you would like your dress to be plus a 1″ seam allowance for your hem. Mine ended up being 81″ in width x 26 1/2″ in length. You will then need to divide your width in half, because we will be cutting out two pieces. So your pattern will be a rectangle, and you will cut two with your fabric folded in half, but NOT cut on the fold line. Cut two, a skirt front and a skirt back. *I cut my pocket on the bias. 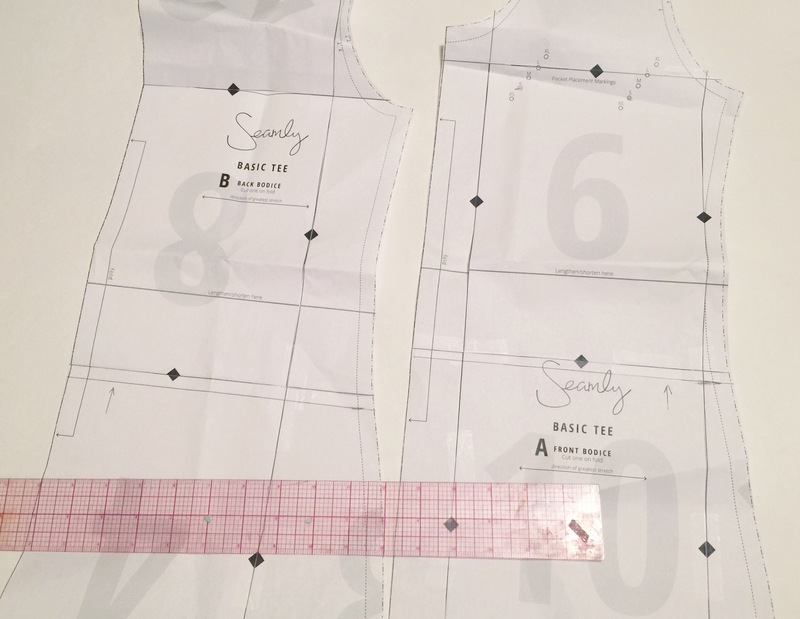 Once you have everything cut, sew up your basic tee bodice as directed in the pattern instructions. Once, your bodice is done, it’s time to prep the skirt. Also while at quilt market, I was introduced to this amazing stuff. At this point, flip your dress right side out, and make sure all your gathers look good. I like to lightly iron the waist seam, with the seam allowance pressed up towards the bodice. All that’s left is the hem. I just folded my hem 1/2″ to the wrong side and sewed along the edge to finish. (I ended up cutting off two inches in length off my hemline). Yay! We’re all done! 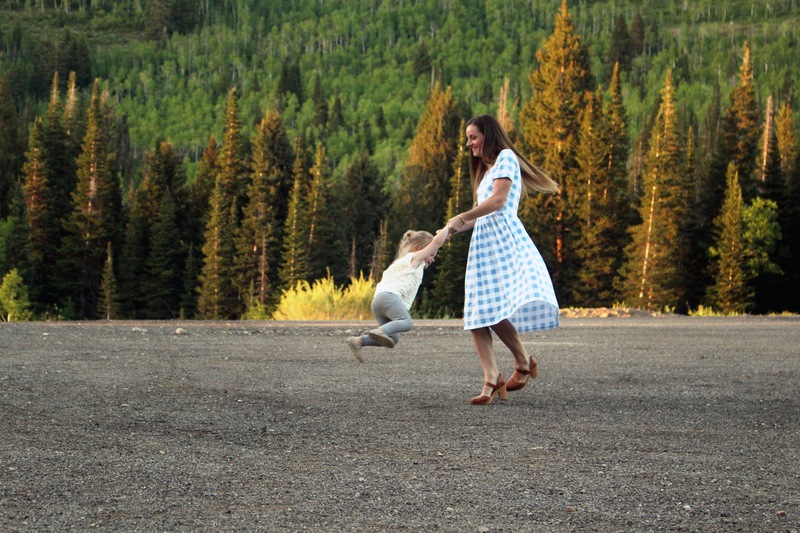 Shout out to my sweet sister-in-law for playing with my daughter while my brother photographed this dress for me! We sure love you Hannah! Recently, I took a little trip down to Mexico with my family. I really needed some new cover-ups to wear while I was down there (And also for summer, I have a feeling I will be spending most of my days at the pool now that my kids are a little bit older this year). I found a few caftan style cover-ups on Anthropologie.com (no longer available online), and decided to make my own, with handmade tassels and all. You guys, this is the EASIEST sewing tutorial ever. My fabric is a gauze from Hancock Fabrics, and it’s probably deeply discounted now if you can find it in your local store. You can find the full tutorial on BERNINA’S blog, Weallsew.com. I wore it for a week straight while in Mexico, and I felt pretty fab in it too. It’s a great cover-up that will flatter any body type. You can also embellish it with pom poms, or even pre-made tassels too. Lot’s of options with this one! Enjoy and happy Memorial Weekend everyone!